There are many ash and volatile substances in natural graphite, and the general graphite content is about 50%~90%. Therefore, when the graphite raw material is deeply processed into a graphite material, it is technically first purified. The quality of graphite purification determines the use characteristics and comprehensive properties of graphite materials. The higher the purity of graphite, the higher the application value. 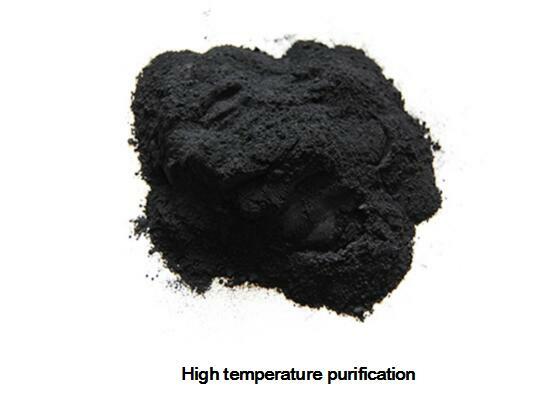 High-temperature method to purify graphite, the product quality is high, the carbon content can reach more than 99.995%, which is the biggest feature of the high temperature method, but at the same time it consumes a lot of energy and requires extremely high equipment. It needs special design, large investment, and purified graphite. Raw materials also have certain requirements. Only graphite used in high-tech fields such as defense, aerospace and nuclear industries can be purified by this method. Since the melting point of graphite is much higher than the boiling point of the impurity silicate, the difference in the melting point of the graphite can be utilized to allow the gasification of the impurities to escape from the graphite to achieve the purification effect. 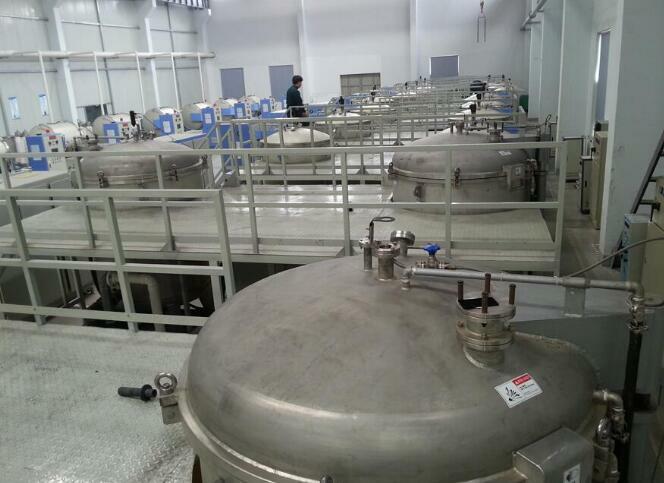 This method is the high temperature purification method. The method is usually purified by a flotation method or an alkali acid method, and a graphite having a carbon content of 99% or more is used as a raw material to produce ultrahigh-purity graphite of 99.99% or more. Graphite has a melting point of 3850°C±50°C, which is one of the most melting substances in nature, far higher than the boiling point of the impurity silicate. Using their difference in melting point, the graphite is placed in a graphitized graphite crucible, and heated to 2700°C under a certain atmosphere using a specific instrument, gasification of impurities can be escaped from the graphite to achieve purification effect. . This technology can purify graphite to over 99.99%. The high-temperature graphitization furnace complete equipment mainly includes the following parts: furnace body, induction heater, intermediate frequency power supply (thyristor frequency conversion device), vacuum system, temperature measurement and temperature control, hydraulic inlet and outlet mechanism, water cooling system, etc. The key technology of the device is the design of the induction heater, including the induction coil, heating element, insulation insulation lining, graphite crucible and other components. The reasonable combination of induction heater and power supply is the key to heating and insulation.